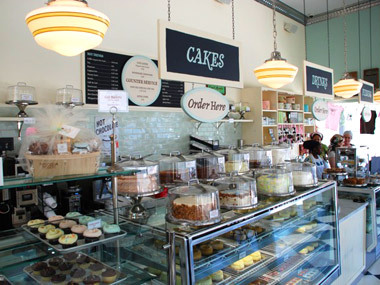 Kate and Chelsie: New York, Must Try ... Magnolia Bakery!! New York, Must Try ... Magnolia Bakery!! Hi Guys! 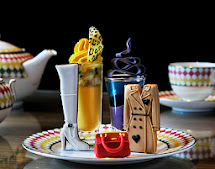 we just had to share this with you all, if like us you are BIG fans of cupcakes then you are going to LOVE this post! Magnolia Bakery is home to quite possibly the best cupcake's I have ever tasted. Chelsie had previously told me about the amazing cupcakes, but nothing prepared me for how enjoyable the first bite would be! We visited the store located ten minutes from Central Park, and selected vanilla cupcakes from the vast array. The Bakery for those that are interested does not only do cupcakes (although cupcakes tend to be the signature) but also pies, cookies, bars and cakes! Sadly we did not get the chance to sample these so we cannot share with you our experience, but next time!! The cupcakes are priced at $3 each for classics (vanilla and chocolate) and $3.50 for specialities ( Red Velvet, Devils Food, Lemon and Caramel to name but a few)- and worth every cent!! London: Yo Sushi Masterclass: Rice and Rolls!